As one of my last performances during this intense month of April I did music by Händel and Mozart at Musikaliska, Stockholm, this past Monday. I had the honor being a soloist together with excellent tenor Conny Thimander at the Spring concert of Täby Musikklasser. Conductor and pianist was Anders Asp and the orchestra consisted of musicians from the Swedish Radio Symphony Orchestra! In this beautiful and sunny Springtime the first meeting and preparation was held of the upcoming Hillborg Festival at the Stockholm Concert Hall in November. I have the honor being one of the soloists of the Anders Hillborg masterpiece Sirens, together with Ida Falk Winland, the Royal Stockholm Philharmonic Orchestra, the Eric Ericson Chamber Choir and maestro Esa-Pekka Salonen. I will also be a part of the final festival concert singing the beautiful piece O dessa ögon, together with the Royal Stockholm Philharmonic Orchestra and maestro Sakari Oramo. Time flies...St Matthew Passion has reached its ending... In one way it feels as if the production at Folkoperan started yesterday. On the other hand it feels like all people involved have known each other for ages! The last performance this last Sunday ended with a warm response from the audience with standing ovations, and on stage a strong emotional moment of love and tears... We have shared together a very special and unifying period of time. This production has ment a lot for so many people and I am so grateful for being a part of this project, for all the magnificent musical moments and for the opportunity to not only share the story from my own innermost, but also experience the opened hearts of others! Thank you from the bottom of my heart to:...my beloved husband Christoffer Holgersson (Chorus Master)! 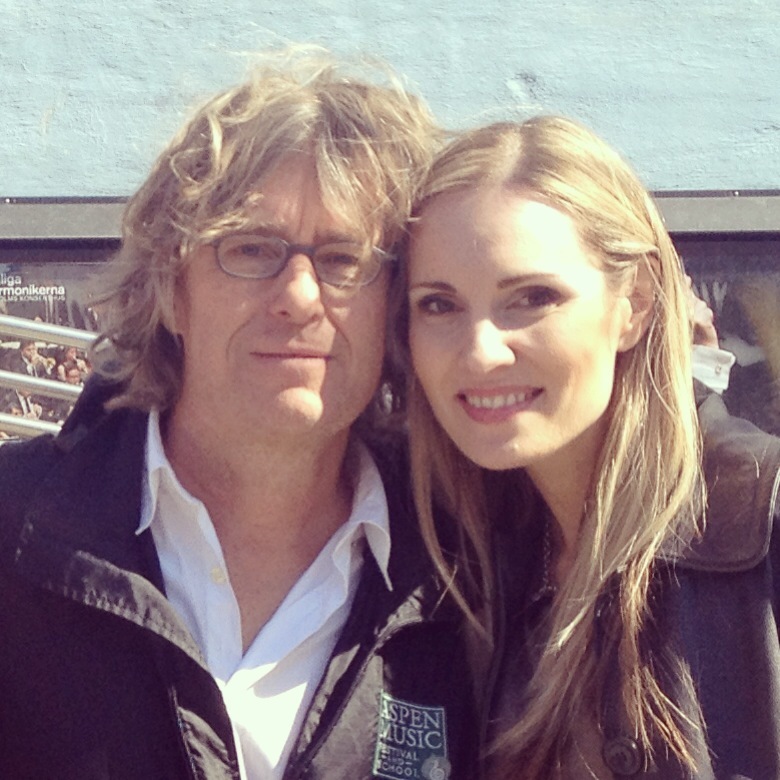 Joshua Sofaer (Director) for your brilliant idea of St Matthew Passion, and for your love, sensibility and caring! Maria Lindal (Musical Director) for your beautiful playing, for your brave musical ideas and for your inspiring output and energy! 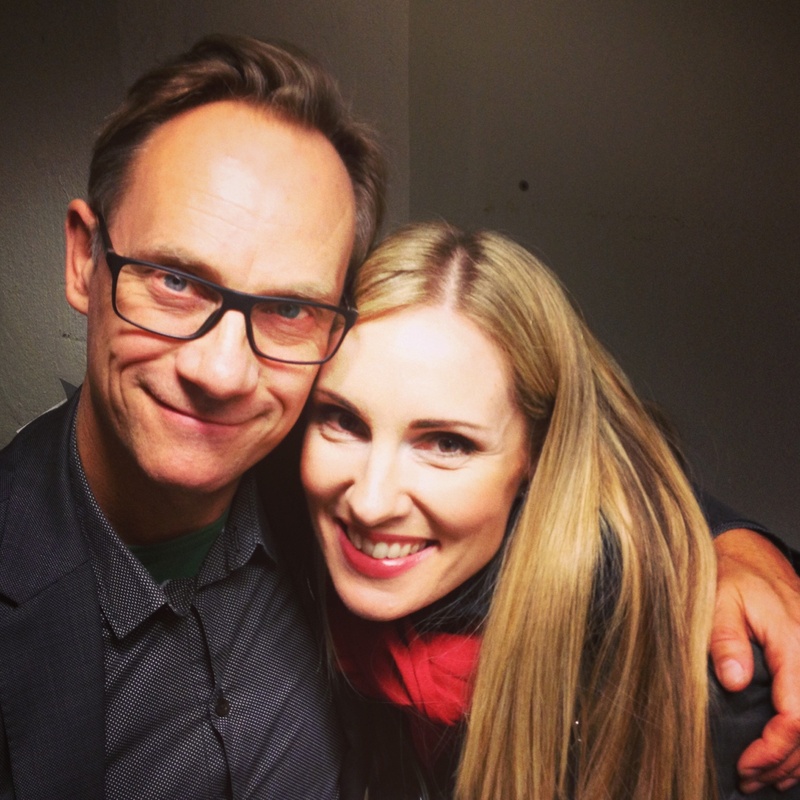 ...the fantastic soloists and friends forever; Janna Vettergren, Conny Thimander, Lars Arvidson, Katarina Henryson (The Real Group), Emma Nilsdotter (TRG), Anders Edenroth (TRG), Morten Vinther (TRG) and Anders Jalkéus (TRG)!!! Love you all!! The incredible singers from Adolf Fredrik church's youth choir and Hägersten's youth choir! 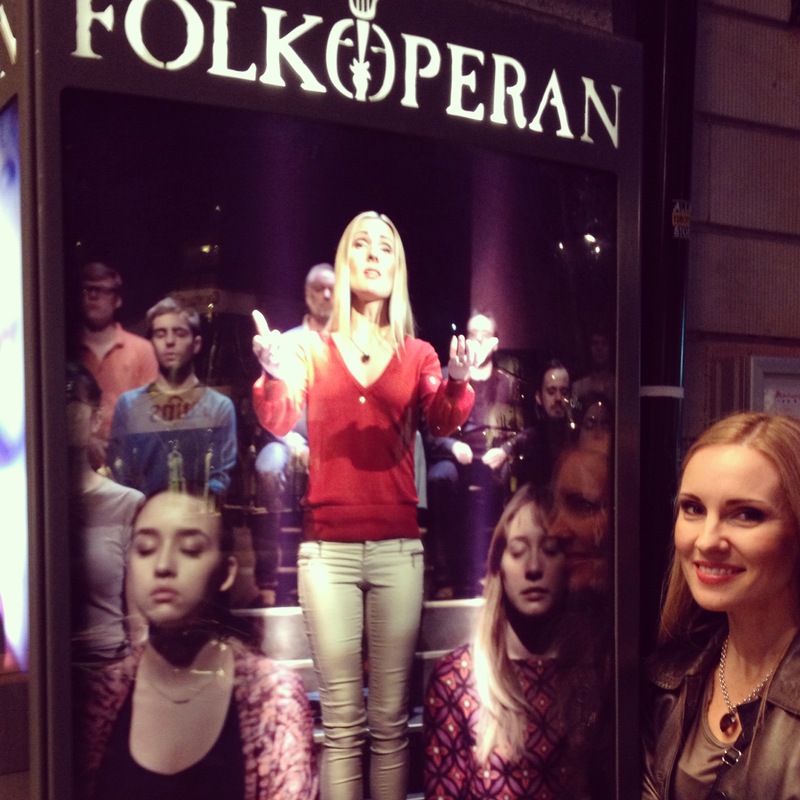 And to Folkoperan for a wonderful production! 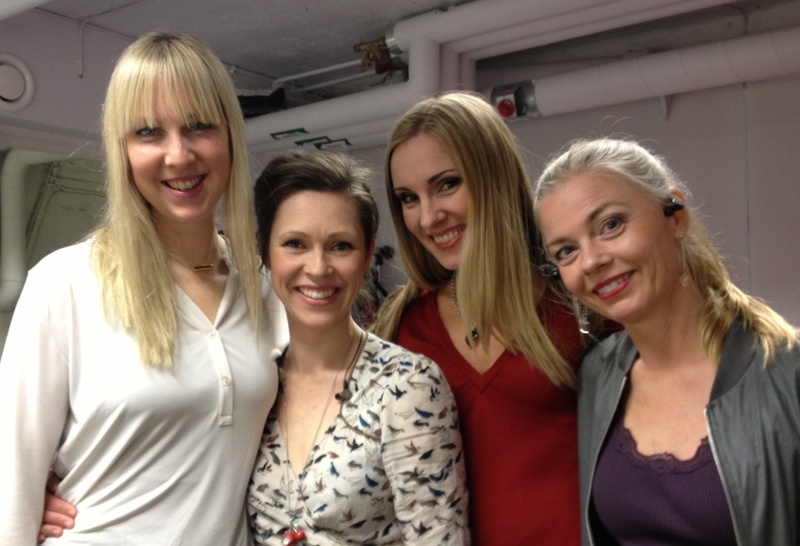 Me and my fantastic room mates at Folkoperan; (from the left) Janna Vettergren, Emma Nilsdotter and Katarina Henryson! April has been busy so far. Last week I did four times St Matthew Passion at Folkoperan, one private event and finally the C minor Mass by Mozart in Essinge Church, Stockholm... What a joy singing the magnificent music by Bach in a sold out opera house every night!!! It was although a privilege singing the Mozart masterpiece last Sunday with excellent co-musicians as Tove Dahlberg, Fredrik Strid, Andreas Olsson, Bengt Forsberg (piano), Stefan Fred (conductor), Essinge Chamber Choir, Plica Vocalis and Catalina Langborn with orchestra! Thank you all!! This week begun with a cold during my days off, but I managed to get well again to sing two more sold out performances of St Matthew Passion yesterday and tonight!! 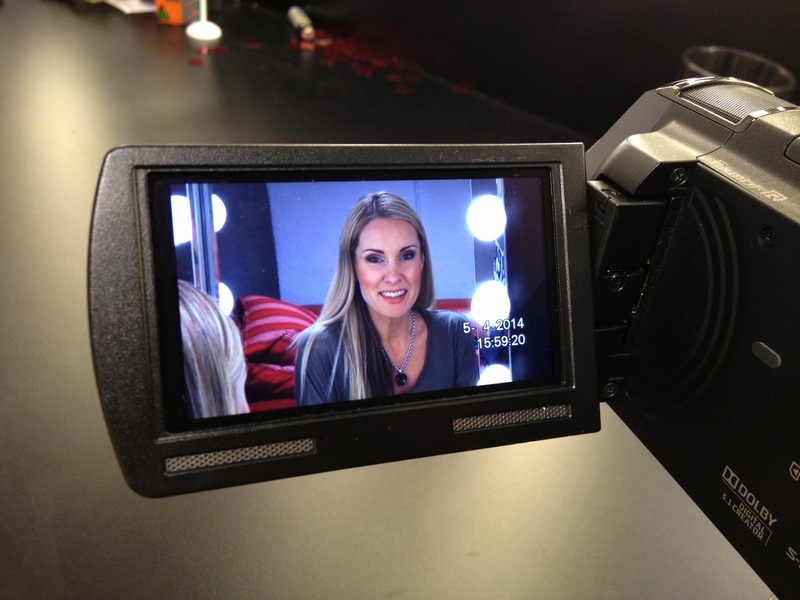 It's really overwhelming to experience the positive feedback and love from the audience every night!! I'm feeling so blessed! Now there's only two more shows to go.... Sunday is sold out, but there are still tickets available for tomorrow!!! Most welcome! After another successful week of St Matthew Passion at Folkoperan this coming week is even more loaded with musical adventures! On Sunday I have the honor doing the Mozart masterpiece C minor Mass in Essinge Church. I addition to that I will do four new performances at Folkoperan, one private event and some teaching...! 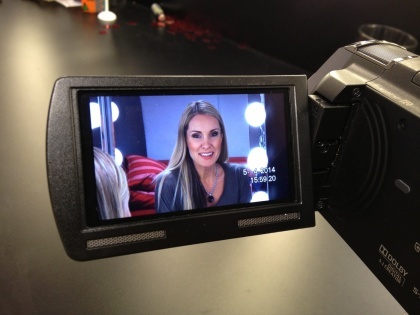 This past weekend I had a lot of fun filming for un upcoming advertisement of music and culture! I'll let you know when it's published! 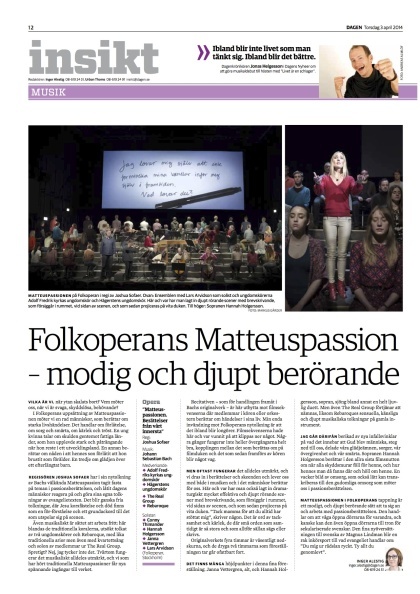 Greatest news this weekend was of course when one of Sweden's largest newspaper Dagens Nyheter chose St Matthew Passion at Folkoperan as "The best culture event of the week"! 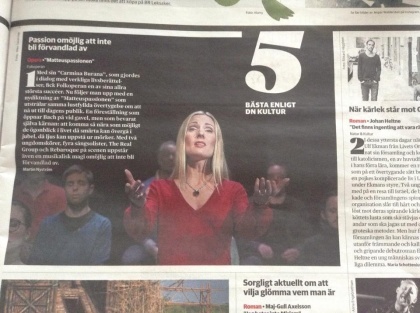 According to DN Kultur; "The best of the week"!! Fantastic Carl Unander-Scharin this Wednesday, after replacing our tenor Conny Thimander who got sick! This second week of the production St Matthew Passion started off with the month of April. A bit cold in the beginning but today the sun is shining and all people and nature are blooming!! Wonderful!! Before doing performance number 5 and 6 at Folkoperan I started the week with some vocal teaching at Betel Folkhögskola. The Eric Ericson Chamber Choir was also rehearsing, preparing our coming tour to Barcelona in May, with music by Ligeti, Brahms, Schönberg, Edlund and Poulenc! The positive feedback of St Matthew passion has been amazing! People are genuinely moved by this powerful performance and I am so proud and grateful for being a part! Attached to this blog you'll find a review from the newspaper Tidningen Dagen, published yesterday by Inger Alestig. 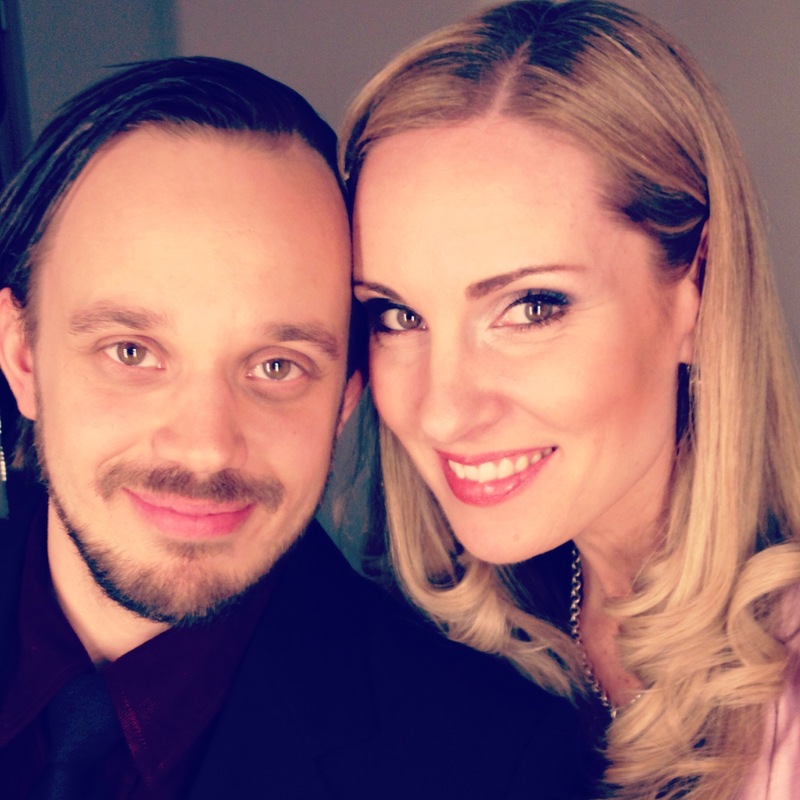 Most welcome to Folkoperan this weekend! Tomorrow Saturday at 19:00 and Sunday at 16:00!